Superstar Amitabh Bachchan and his ill health caused a lot of concern among his fans when he Tweeted about his ill health. The actor is currently in Jodhpur and had tweeted about his ill health after which a team of his doctors arrived to attend him. The Black actor tweeted, “I am getting my team of doctors in tomorrow morning to fiddle around with my body and set me up again .. i will rest and keep informed in process.” The team of doctors arrived and the actor got back to work later in the day. Mr. Bachchan is shooting for his upcoming film Thugs of Hindostan and was shooting for an action sequence. The Sholey actor had a poetic way to convey about his health and wrote, “Kuch kasht badha, chikitsak ko chikitsa ke liye bulana pada, ilaaj prabal, swastha hue nawal, chalo isi bahane apno ka pata chala. (Pain aggravated and had to call doctors, the treatment is complete and I am healthy as new now. 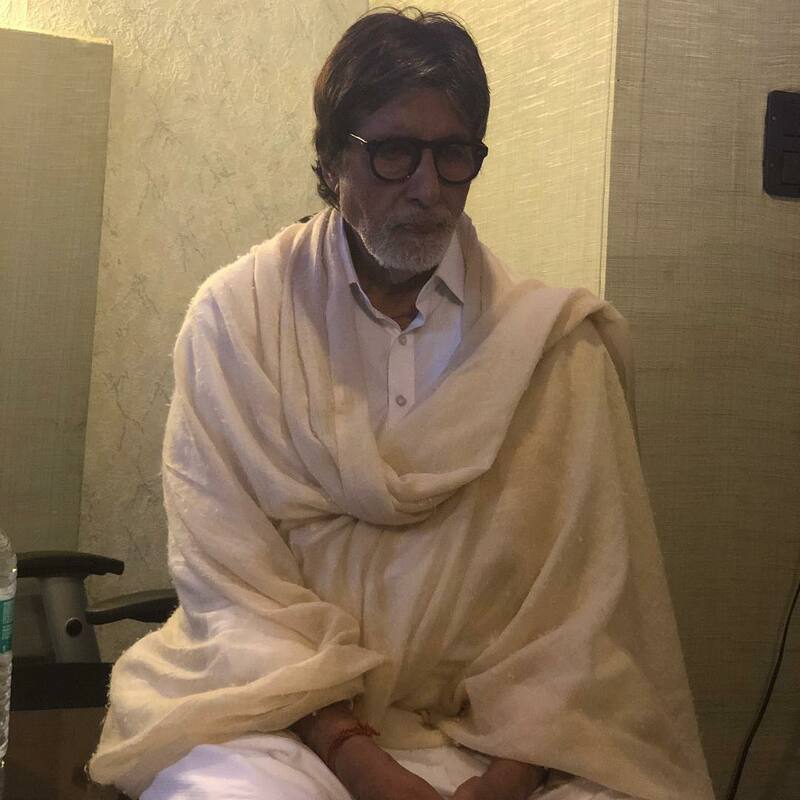 Got to know my dear ones in the process).” Even wife Jaya Bachchan talked about Amitabh Bachchan’s health at the Parliament House in Delhi and said that he had pain in the back and neck which was due to the heavy costumes. Reports said that a team of doctors were flown down from Mumbai to Jodhpur to have a check on the star and had examined him after doing a few tests. The doctors have cleared him to do the action sequence. A chartered plane brought back the team of doctors to Mumbai. The film Thugs of Hindostan is based on the 1839 novel Confessions of a Thug and also stars Katrina Kaif, Fatima Sana Sheikh and Aamir Khan. Thugs of Hindostan is helmed by Vijay Krishna Acharya who entertained the audience with the films Dhoom. Amitabh Bachchan will also be seen in the upcoming film 102 Not Out which also stars Rishi Kapoor.